Here's a trick to make a simple and impressive cake for your next party. This weekend I made a Clemson themed Kit Kat cake for a special birthday. It was easy to make and disappeared very quickly. Since I had so many plans this weekend, I decided to make a cake using a modified cake mix. The two layer 8 inch cake is the perfect size to serve 12-14 people. After the yellow cake was baked and iced, the minnies helped me with the decoration. 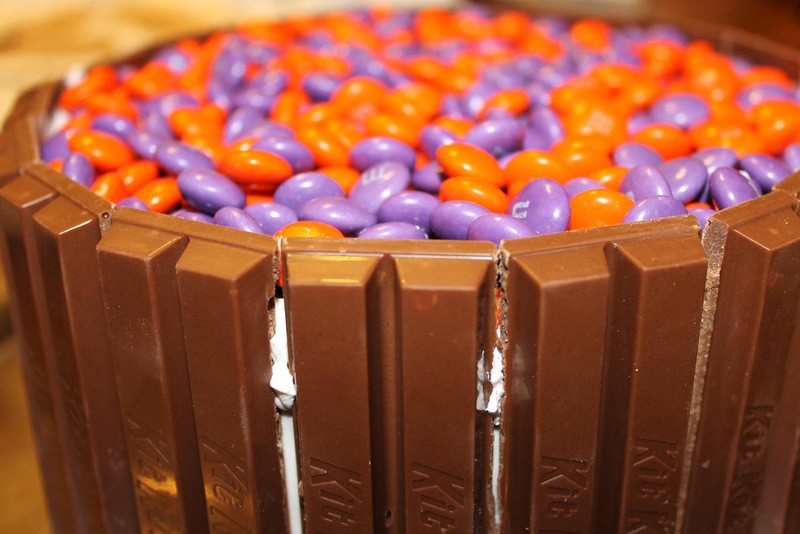 We used almost 3 King Size Kit Kat bars to surround the cake. The girls broke the candy bars into sections of two bars. 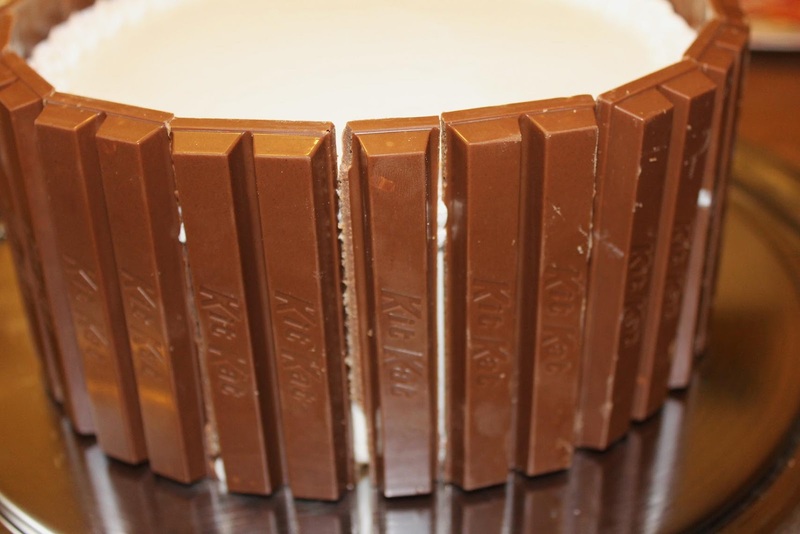 Then we surrounded the cake with a Kit Kat picket fence. The candy bars stick perfectly to the freshly iced cake. 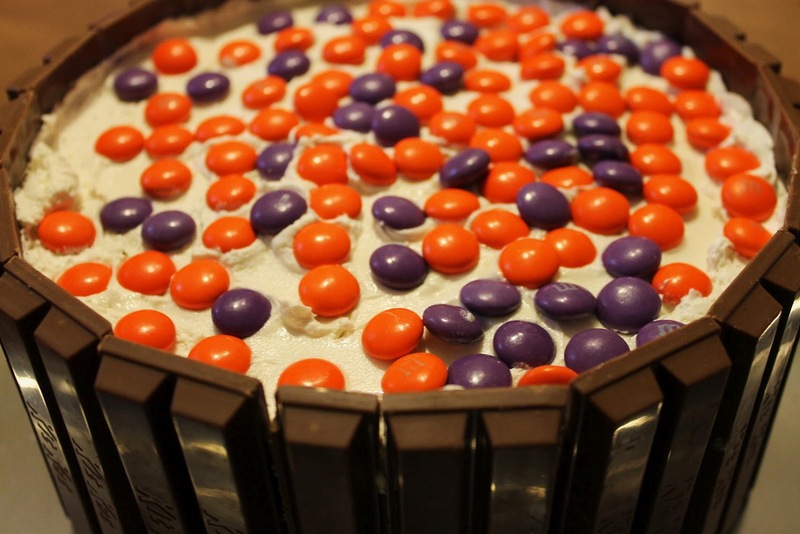 For the M and M's, I chose purple and orange for a Clemson graduate. Originally, I thought about using one candy color to make a monogram with the M and M's, but it didn't work so well with the 8 inch round cake. Perhaps it would be a good idea with a larger cake, but there was not enough space to make each letter clearly with the candy. Since the monogram idea didn't work out the way I had planned, I decided to scatter all of the M and M candy on top of the cake! For the first layer that is directly on the icing, I gently pressed the candy into the icing. All of the leftover candy was sprinkled on top of the cake! I tied a pretty purple ribbon around the cake and it looked delicious. I served slices of the cake that were the width of two Kit Kat bars. It was just the right size and was not overwhelmingly sweet. 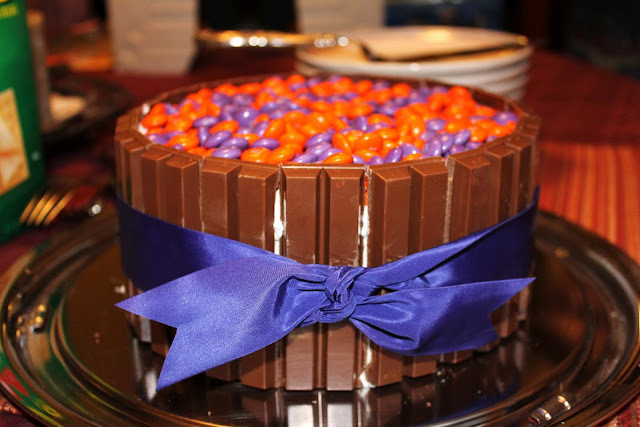 I loved the taste and texture that the candy added to the cake. The possibilities with this cake are endless. 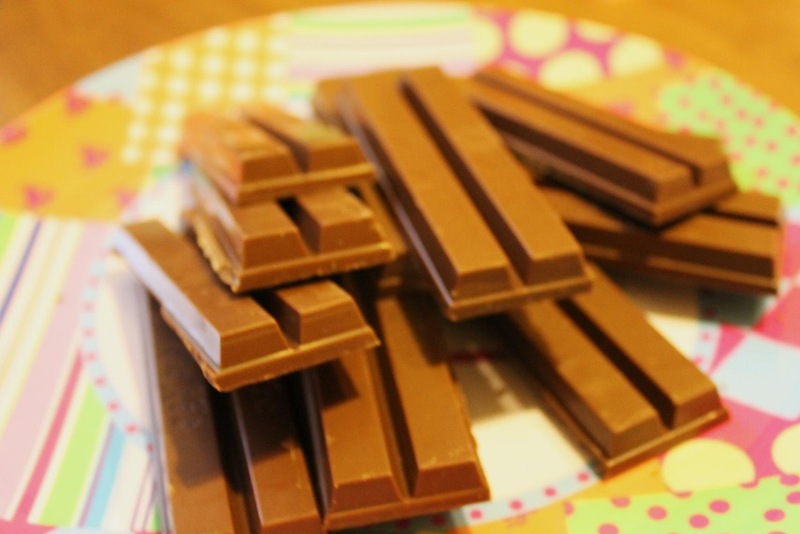 By changing the color of the candy and ribbon, you can make a delicious dessert for Easter, Memorial Day, or a special birthday. The cake is so pretty that it would make a lovely centerpiece for a table, too! That is such a great idea. I love that it's themed after a college! Wow what an interesting idea for entertaining! Thank you for sharing it. Oooo this looks so easy and quick! Will have to keep it in mind for the next time I need a cake!